Ever since John Lennon bought R&B singles imported by sailors passing through the port of Liverpool, musicians have stuck out their noses in hopes of catching an exotic scent. Minibar reverses the classic formula of American musicians ripping off the British: The band formed in London in the mid-'90s, then migrated to L.A. But unlike the Brit-worshipping power pop of many American bands past and present, Minibar bows at the altar of foggy, '70s era L.A. folk pop. Lead singer Simon Petty purrs in dark shades of blue and brown as he muses about "big city lights," "sleepy," diners" and making "making plans for a clean escape." The band's extravagant pop is just as colorful, overflowing with lilting 12-string acoustic guitars, galloping drums and harmonies so etherreal and feminine you might mistake them for a ghost in mink. 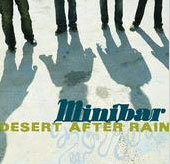 But even its retro SoCal sound, Minibar's melodic English roots peek through. The band isn't revolutionary, and its influences are obvious (Crosby, Stills, Nash & Young; the Byrds), but within its small world, Minibar explores singular nooks, like the lost-in-space glow of "Badlands," the sunset flavored rock of the title track and the aching isolation of "Breathe Easy." "Fly Below The Radar" is just the right album for getting lost in what Petty describes as that lonely, lethargic moment when "time waves goodbye." © 2003. All Rights Reserved. Time Out New York.